“Prodromal labor is a type of labor that happens prior to the onset of full active labor...the contractions are real but they start and stop. So basically, it is real labor in terms of pain, contractions, and regularity but it comes and goes.” (Source: wellnessmama.com). This past summer, I gave birth to my second baby....after 6 long, exhausting, unbearable weeks of prodromal labour. Then somehow, when I reached 40 weeks, I was able to let go. I started making plans again and just accepted that sleepless nights with strong contractions were just a part of my life for the time being. I convinced myself so well that baby wouldn’t be coming anytime soon, that when it was finally happening, I barely believed it.... FULL BIRTH STORY COMING SOON! Pictured: Myself, my sister Jessica (Birth Takes a Village), my oldest son, and my dog during one of her false-alarm trips to Calgary this summer! We thought I was in labour so she hurried over to attend my birth but when my labour stopped ... we headed to Banff to go hiking! Thanks to my sister Jessica for #toddlerwearing and thank goodness for #bellywrapping which got me through that hike! Don’t get me wrong, the prodromal labour was TOUGH, but I did have lots of good times along the way! On the bright side of all the false alarms... we scored a lot of quality sister time! 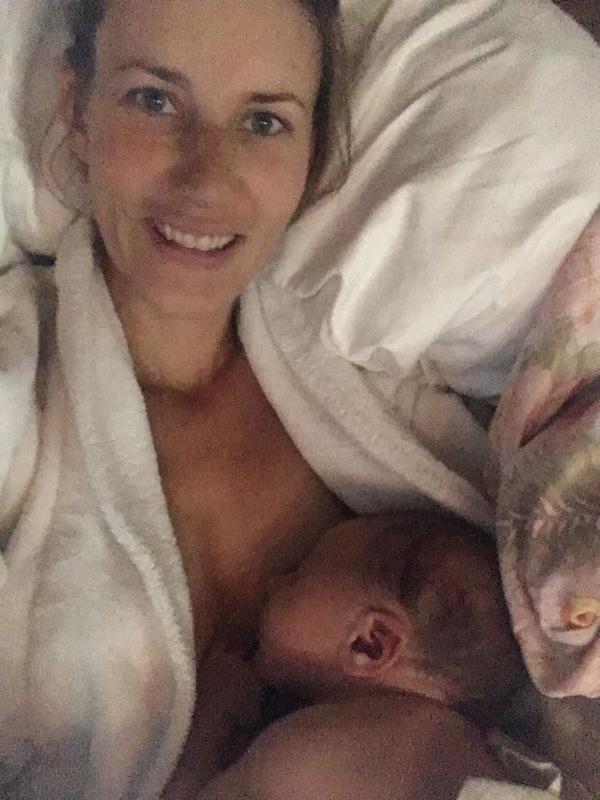 This is one of two guest blog posts that I recently did for Dr Gillian Sawyer for her #yourbodyafterbabyproject she is doing to support women transitioning into motherhood. It is an amazing program worth checking out. ;) I also did a video interview for her project, talking about body image & mental health in the transition into motherhood. Contact Dr Gillian to sign up for her program! In our society, there is a lot of pressure put onto women to return to their pre-baby bodies, and this can make it difficult to accept the changes that your body has gone through. Is this something that you have encountered? Your body goes through many changes in the post-partum period as you are healing from your birth: Changes in your body’s appearance, uses (breastfeeding/nurturing baby), energy levels, ability to function, sexuality, and more. Women are often expected to get straight back to their pre-baby self which makes it difficult to settle into the changes that your body has experienced and impossible to give your body the time that it needs to adjust and heal. The truth is, your body will never be the same as it was before you got pregnant. Your body has grown and birthed a human being, and your body is now caring for that human being! Your body will go through many changes as it adjusts through these monumental stages of life. Will you fit back into your old jeans? Maybe. Maybe not. But your body will definitely not be the same as it was before. This could be perceived negatively, but is it a negative thing? 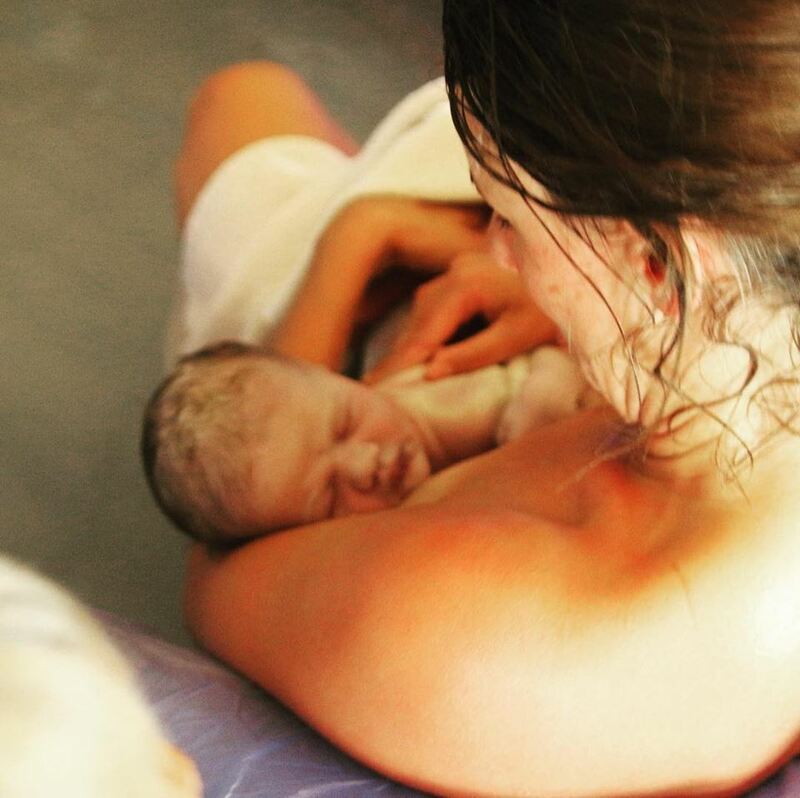 It is important to ask yourself why you are finding yourself focusing so much on your body image after giving birth. What is going on beneath the surface? In my work as a counsellor, I always encourage my clients to dig deeper to identify the root causes of their presenting issues. 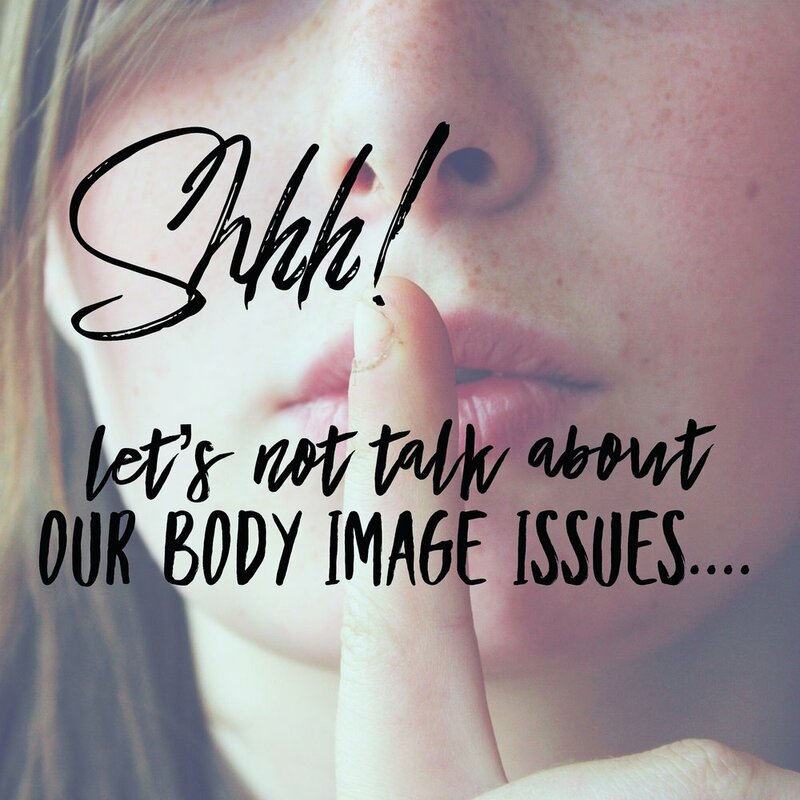 When body image issues are triggered for women during pregnancy and the post-partum period, it is often linked to body image issues or self-esteem issues from your past. When you become a mother, it is common for a lot of the issues from the past to come to the surface. 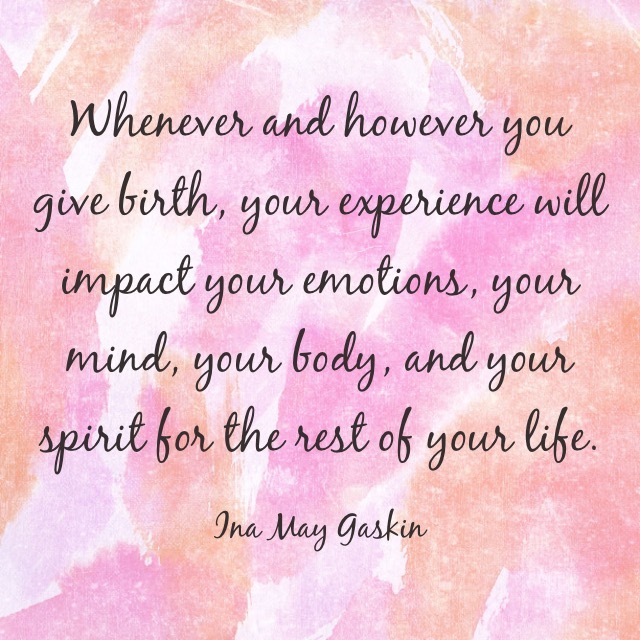 Pregnancy, birth, and the transition into motherhood are all-consuming experiences that impact you physically and emotionally. It can be overwhelming dealing with all of the changes and emotions that come with these life-altering experiences, and when you are overwhelmed, your body can become an easy target. If you want to get to a place where you feel true acceptance of your body, you have to be willing to look inside and see what else is triggering these feelings of dissatisfaction in the first place. Not the answer you were hoping for? In my work I support my clients to explore the underlying issues to their presenting problems. When you go behind-the-scenes to do the deeper work, you give yourself an opportunity for creating healthy, supportive, long-lasting changes in your life. I facilitate Body Image Group Sessions, Workshops & Individual Therapy. Learn more about my counselling style here. We've all been there. You see an old friend, a colleague, an acquaintance, or maybe a total stranger and notice that they are pregnant...or so you think. Depending on your boundaries on that given day, you might hesitate, double check, wonder if it is appropriate or not to comment. Or you might just blurt it out without any consideration. Boundaries tend to disappear when we are busy, tired, distracted or overwhelmed. Regardless of how you have handled this in the past, don't you think that as women, we deserve better? Our bodies are under constant scrutiny throughout our lives from so many sources - the media, friends, family, (strangers!). When women are pregnant or have just given birth this seems to escalate - many people seem to believe they get a free ticket to comment on or even freely touch women's bodies when they are in this sensitive and vulnerable stage of their lives. When if you really think about it, this is a time to stand back with more respect than ever; instead of a time to move in for the kill releasing all of your burning thoughts on how this "pregnant" woman's body looks. It is so common for women to have body image issues, anywhere from the occasional negative thought to having a diagnosable eating disorder. When women are questioning and criticising how they look on a regular basis they do not need someone else commenting on their bodies - pregnant or not! Here are a few reasons why you should never comment on a woman's body regardless of whether you *think* or KNOW that she is pregnant. She might be pregnant but doesn't want to talk about how you think her body looks. She may have an eating disorder and commenting on her body could be extremely triggering - pregnant or not. She might NOT be pregnant! Maybe she never was, maybe she is unable to get pregnant despite trying, maybe she just had a miscarriage or stillbirth, she might have just given her baby up for adoption, had her baby taken away from her, maybe she was a surrogate. No matter what the scenario is, nobody wants to be caught commenting on a woman's pregnancy when she is not pregnant, am I right? And then there are exceptions to this. Some women will love it when people are commenting on their pregnant bellies and get excited when their bellies get noticed. Or maybe they have had something bad happen, but welcome the conversations and get support this way. Or maybe they just won't be impacted by your comments regardless of whether they are pregnant, in the post-partum period or have never been pregnant - but these women deserve better too. Not every woman is the same, but every woman deserves to be treated with respect. Of course pregnancy can be a very exciting time and many people want to talk about it and celebrate it by commenting on your body - which likely comes from such a kind a loving place. What I'm really suggesting that the next time you see a woman who *looks* pregnant, please consider all of these above scenarios. And if you DO choose to comment after careful consideration, please comment with grace, love and as much respect as all women deserve! *The inspiration from this post came from an interaction I had recently. I am very passionate about respecting women's bodies, and a way that I practice this is by refraining from commenting on how women's bodies look. I take great pride in this. However, recently I met a woman and I thought she was pregnant. I exclaimed "You're pregnant!" without a glimpse of consideration. She very gracefully told me that no, she is not pregnant. She seemed to be completely confident within herself and not even a little bit rattled by my tactless comment and she accepted my apologies without hesitation. Despite her calm and admirable reaction, I was mortified and disappointed in myself. This made me reflect on my own boundaries. Do I give "pregnant" women the same body-respect that I aim to give all other women? Or do my boundaries fade in these circumstances like so many other people? I will be very mindful of this going forward, and I'll be sure to not repeat this same mistake again. I am very fortunate that this being my first (and last!) time in a situation like this was with a woman who did not get offended or take it personally. I have learned something from her and for that I am grateful. And in this moment I am going to accept myself as a flawed human being and forgive myself - while also giving compassion to all of the other people out there who have made mistakes and learned from them! But let's do better!